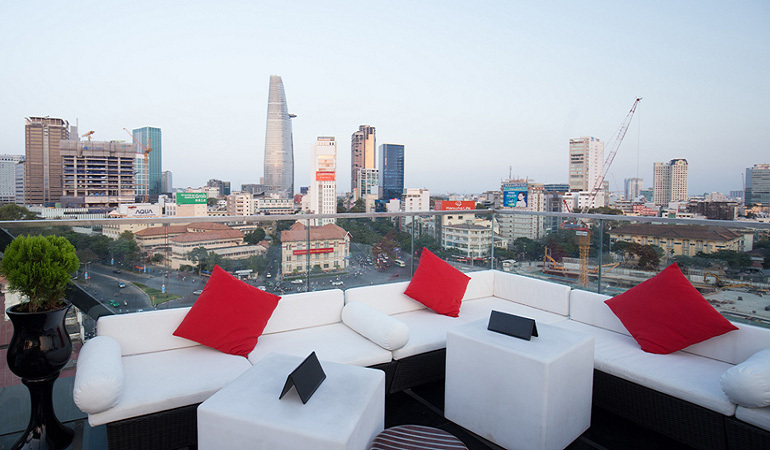 Standing for Original, Musical and Gastronomic, this impressive rooftop lounge provides majestic views of Saigon’s sprawling skyline. Sip on carefully crafted cocktails while watching the sun slowly sink beneath the horizon. Opening hours: 11 a.m. to 1 a.m.